Whether you are a new or a long-term client you will hear me often refer to your “barrier” function, in fact everything I do, every ingredient & modality I use is to support this natural eco-system given to us by nature. If you have never been to me chances are you have never heard of your barrier, unfortunately after a very long time in the industry I realise not many therapists know about it either. So let’s get educated & start the conversation about why we are constantly over cleansing, exfoliating, burning & sand papering our skin (& therefore our “barrier”) off? We are going to call our natural eco-system our barrier for ease of explanation (also known as your acid mantle & hydrolipidic film). 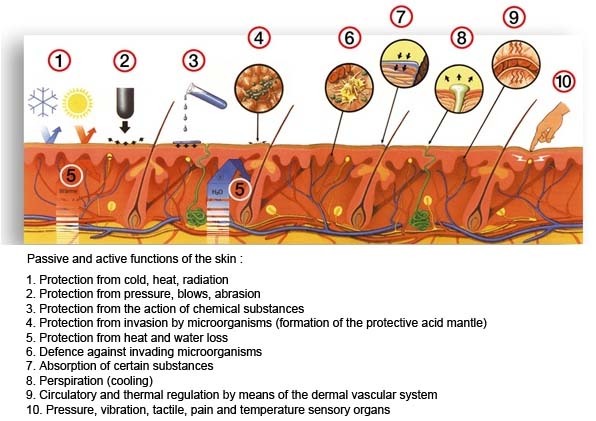 Your skin has a delicate & essential layer called “the barrier”. It is a naturally secreted, thin, protective film that covers your skin and is made up of oils, fatty acids, lactic acid, amino acids & our skin’s own natural moisturising factor. This barrier is the skins very own defence mechanism against moisture loss & bad, foreign bacteria. When your barrier is healthy, your skin looks alive, fresh & radiant – with no signs of dehydration. It has an even texture, your pores are refined & you don’t suffer from the notorious ‘sensitivity’ which seems to be at epidemic proportions out there. Breakouts may occur, however, they seem to disappear rapidly & without scarring. The barrier waterproofs your skin & helps the skin cells remain tight & flat (like roof shingles), it protects you from the elements like wind, cold & water, also making it harder for bacteria & other microbes to get into your skin. So why would we ever want to damage this essential layer? Damaging & destroying the very mechanism nature has given us to keep our skin looking and feeling healthy sounds bewildering, doesn’t it? You can wash & scrub away this barrier & it can be neutralized by alkaline soaps & body washes that raise the pH of your skin above 6 (healthy skin is slightly acidic between 4.5 & 5.5). If your skin feels tight & squeaky clean after cleansing &/or exfoliating, you have probably just stripped away your barrier which greatly increases your chances of skin damage & infection. I encourage you to educate yourself & not buy into mainstream marketing hype which would have you believe you need to burn, peel, scrub, scrap & sandpaper your barrier off (sometimes on a daily basis). We can achieve a balanced, healthy, optimally functioning skin – less is more & ingredients not only matter to your skin, but are important to our waterways & animals. 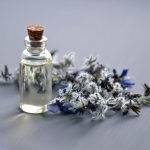 I can’t tell you how many times a new client has brought in a bright blue, green, yellow, orange, purple, indigo, red etc cream & that smelt very heavily of perfumes, with the catch phrase “oh it smells good enough to eat”! I have promptly told them to pop it in the bin, because this junk should be no-where near this perfect barrier we are talking about, no not even your legs & in all conscience you can’t give it away either. Horrible thought it is going to landfill or down the sink, just horrible however it does bring you to place where you need to question ingredients, right! There is definitely an ugly truth behind the beauty industry when it comes to testing on animals, formulating products with cheap nasty ingredients & formulating in unsterile conditions. Beauty at what cost? When you do your skincare routine tonight, ask yourself: do I know what is in my products? Should I be putting a brightly coloured cream/gel/liquid onto my skin or down my sink? This does smell good enough to eat, why? Do I know this has not been tested on animals? Some of these are hard questions, for the sake of your barrier, our animals and environment – answer them!